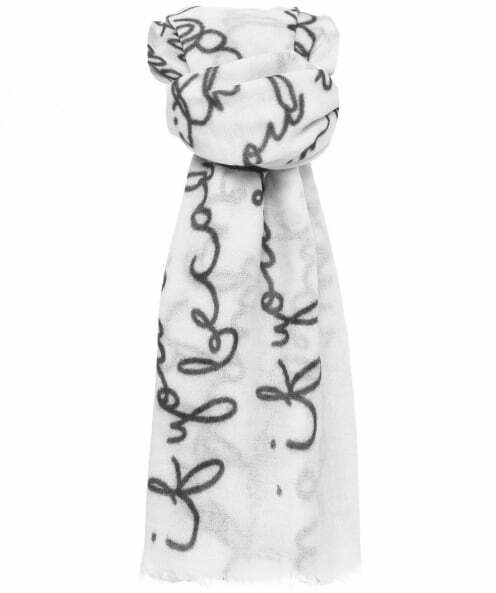 Inject elegant glamour into your outfit with the Ahujasons scarf. Adorned in a delicate, digitally printed writing and chunky contrasting embroidery for a dimensional look this scarf is perfect for adding an individual look. Complete with frayed edges and an ultra-lightweight wool fabrication that promises supple touch against your skin. All of our scarves are one size, please check an item's specific measurements.